Who is ready to FINALLY start planting that herb garden?! Herbs are one of my favorite natural powerhouses for good health. 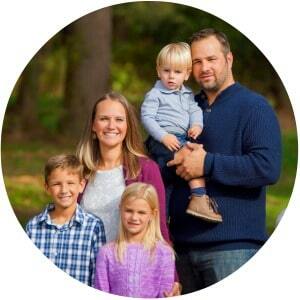 I regularly use them in everything from cooking and cleaning to beauty products and natural remedies. Planting is starting a little late this year in my neck of the woods due to that lovely extended winter, but I’ve been busy looking for new projects to start around the house to grow even more herbs. 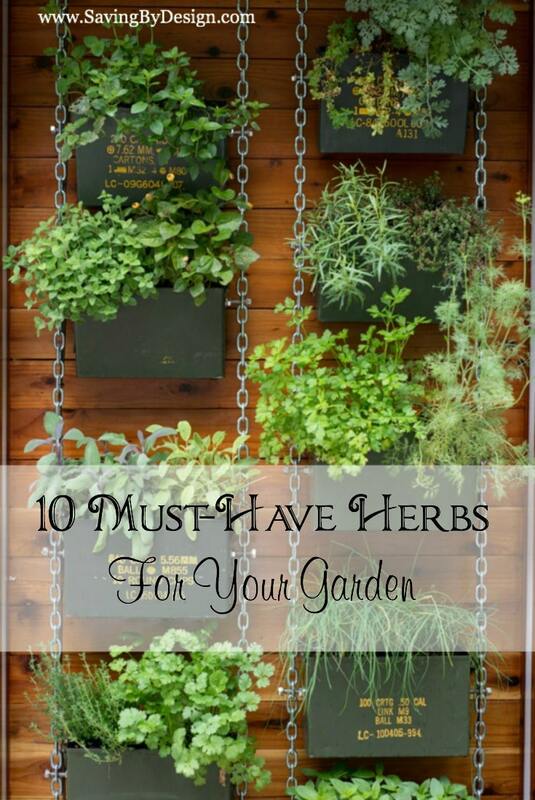 Here are some great herb garden ideas that will look wonderful in any space around your home – from the large yards to small spaces, you’re sure to find something you love here! Where does one even begin? How in the world do you choose what you’re going to plant once you decide you’re going to create an herb garden? From basil, parsley, and chives to rosemary, bay leaves, and oregano, it can get a little overwhelming! 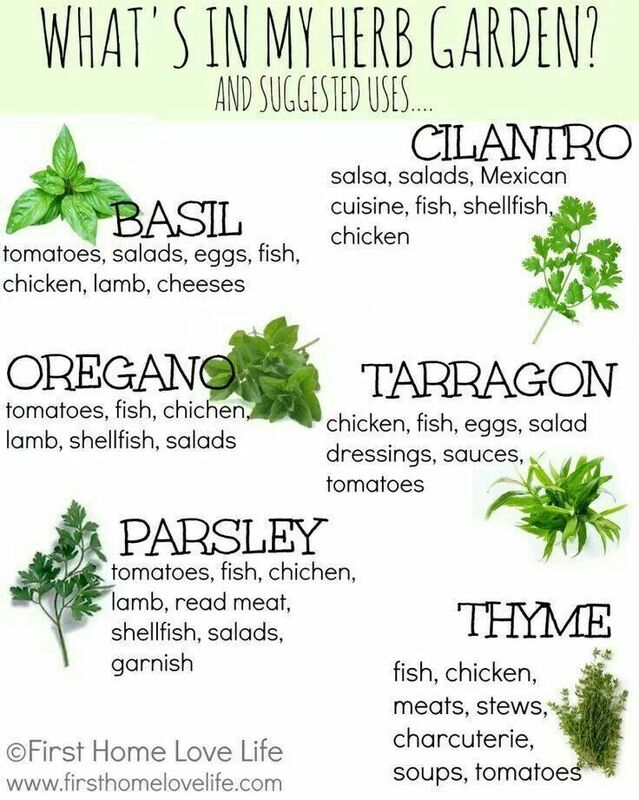 Before we get into the meat and potatoes on how you can grow herbs in different ways, here is a quick list on some of the more popular herbs that people grow and what you can use them for once you are ready to start cooking with them! Pallet designs are all the rage right now in any kind of home project. Herb gardens are no different! 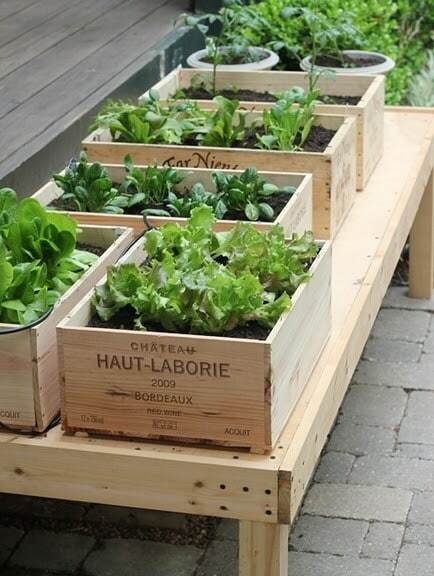 These pallet designs are so perfect for those who may not have a lot of room to plan a bigger garden. This idea found on Pinterest with the pallet standing holding potted herbs within the slats, is a great way to keep track of what you’re growing and you have the convenience to move the herbs whenever you may need to. 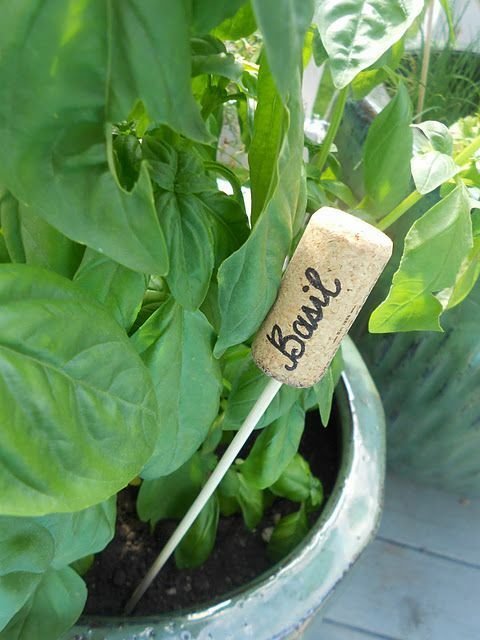 Simply add letters from your local crafting store to label what you are growing. To piggyback on the previous idea, here is another pallet unique design display your herbs. Use chalkboard on the sections of the pallet to keep track of what you have planted. 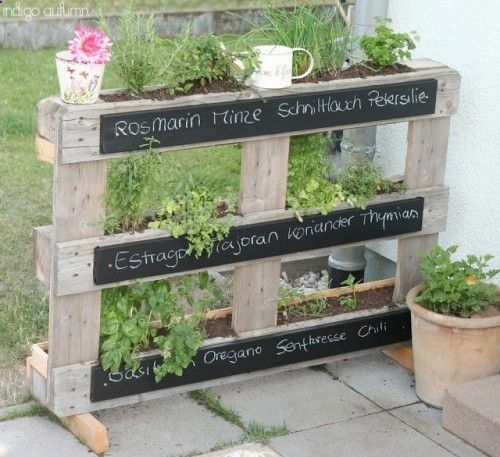 Simply add potting soil to the slat and plant those herbs right in the pallet. What a great idea, and of course it was another awesome find on Pinterest. 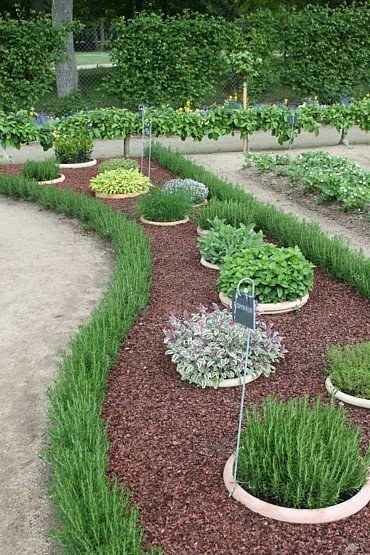 Check out this awesome DIY Raised Bed Herb Garden found at Modern Bush Man! Wow! Get the handy one in your life to check out these step-by-step instructions to whip this thing together and you’ll be the envy of the neighborhood. 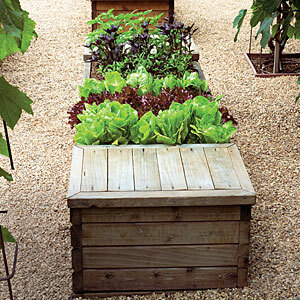 This is such a functional Raised Bed Herb Garden with Storage and a seat! 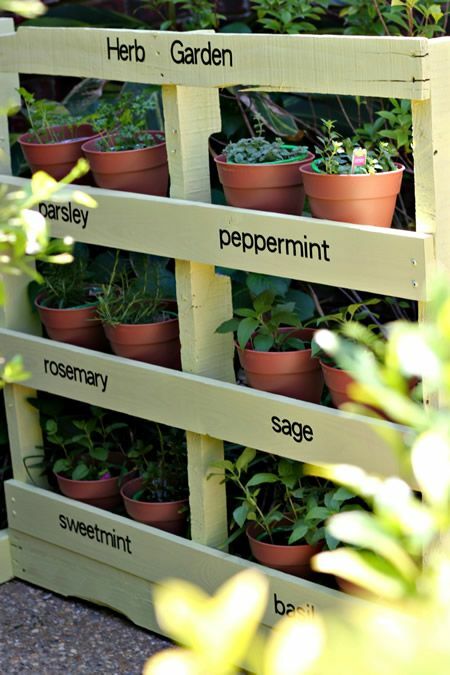 Found on sunset.com, here’s a great way to be able to grow herbs and it would be easy to have this on a deck as well. Seriously?!?! This was shared by Farmer’s Pal on Pinterest and couldn’t have anymore awesome-ness attached to it. 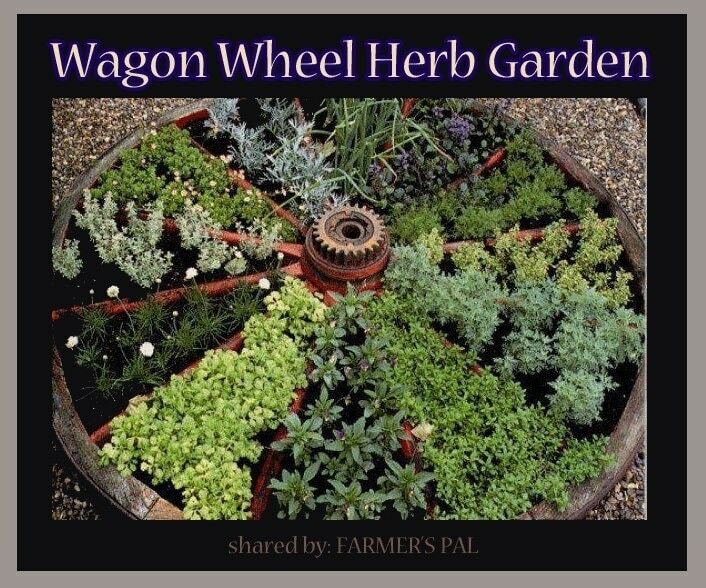 An herb garden planted in an old wagon wheel?!?! Get those antique lovers in your life involved and create one of the most unique herb gardens ever! Calling all wine lovers! 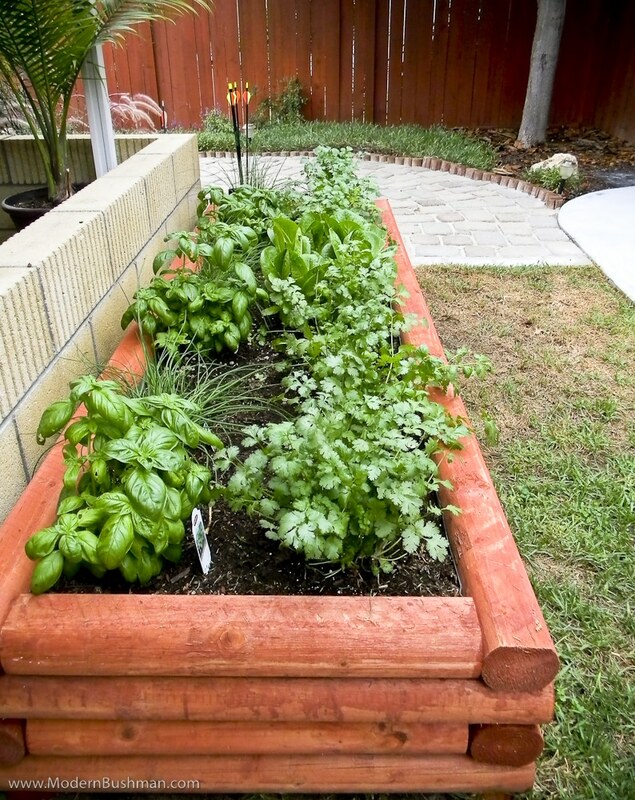 Create your own little slice of herb heaven with these wine crate raised garden beds found on Indulgy.com. Wow! So elegant, yet provides a great way to keep those herbs that love to sprawl separate from each other. 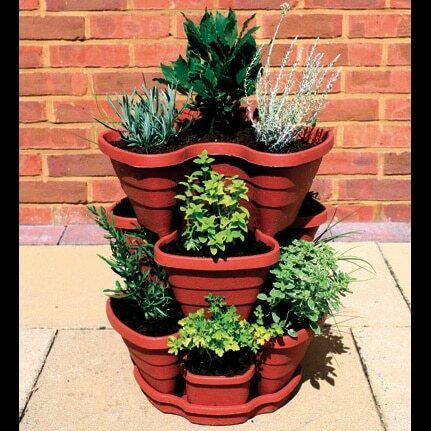 Here is a cute idea with multiple pots creating a great herb garden! This one was found on Pinterest and with a little creative genius, this could be a great space-saver when looking to plant your herbs. You can grab a planter like this on Amazon. There are a lot of potential directions this idea could go! So you have a lot of space to plant your garden and are looking for something a bit more unique that you can also turn into landscaping? Think about this idea, which was found on Pinterest. Planting larger pots straight into the ground to give an even-earth look is a great way to keep things separate. You also have a lot of control over color contrasts and the layout with this idea. And while this above picture doesn’t show this, you could always add some chives to edge your garden! Love it! 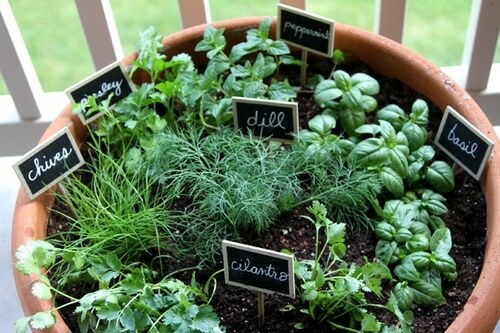 How Do You Keep Track of What Herbs You Planted? Check out these 3 quick ideas on how you can tell what you planted. You don’t want to mix those herbs up now! Awesome! 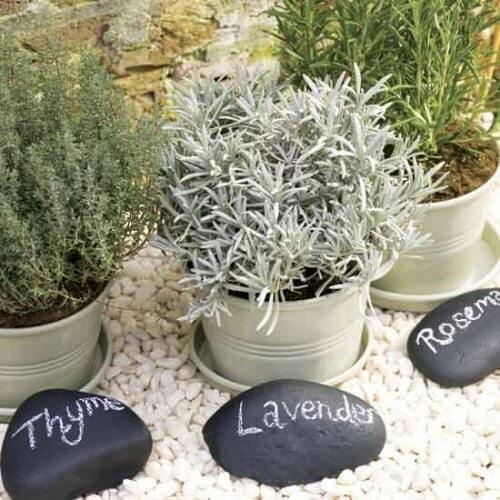 Paint up some rocks with chalkboard paint and just write what you’ve planted. Doesn’t get much easier than that! 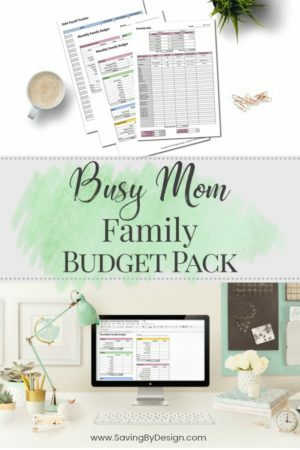 What a creative Pinterest find. Have a super small space and need to be able to easily tell what you’ve planted? Grab some cheap mini-chalkboard signs at your local crafting store and you’ll be able to do just that! Thanks, Pinterest! Phew…well, I know that I found a lot of great ideas for my herb garden this year and I hope that you did too. You at least should have a good starting point and I’m sure the ideas are running through your head on how you’re going to plant the perfect herb garden. Good luck!